Hello there crafters!! Happy Friday! So, it seems as though for today i am back on track with posting a video early in the morning rather than later at night, lol:) Man, when things get out of wack they really get out of wack!! For today's card i featured the technique that you can use your clear blocks for. Yup, there is a way that you can use them rather then just having them "cling" to your stamps. You can make your own background!! After doing the video, i realized that i didn't really like the flower how i had done it. It just looked unfinished to me. So, i added a 7/8" Scallop Circle in the Pumpkin Pie for my center and that was all that it needed. 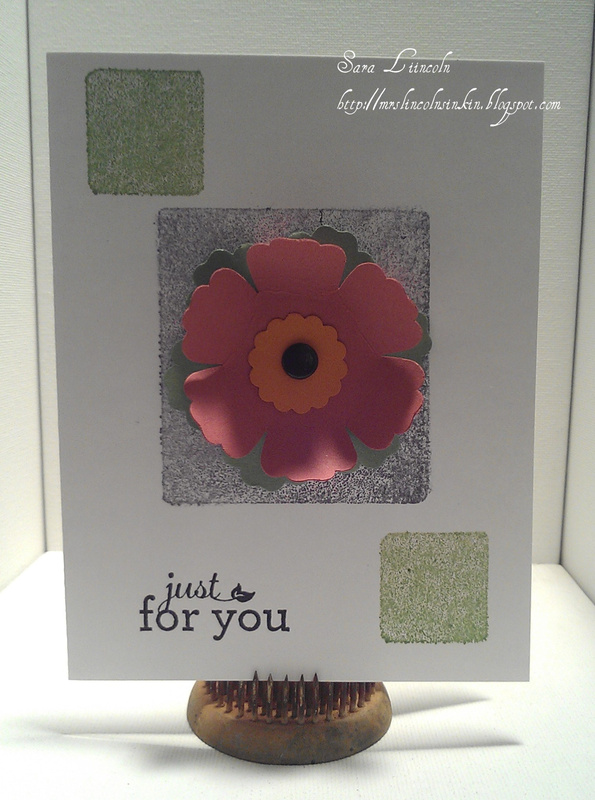 Also, i mention in my video the Pop Up Posies Kit , which is where the stamp that i used in today's card, Just for You came from. 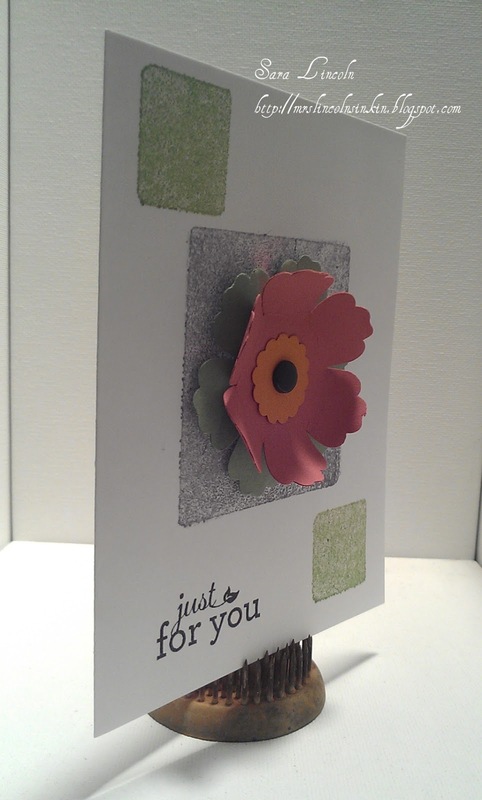 Click here to head on over to my video tutorial on how to make those amazing flowers from that awesome kit. Yup, that's right!! 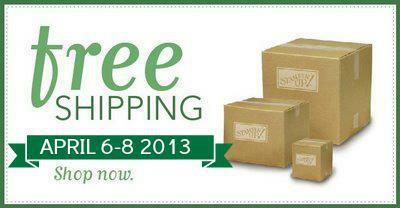 On all orders, no matter how big or how small you will get free shipping on EVERYTHING!! How wonderful!! So get that list out that you have been working on and place your order here today. Plus... yes there is more... SU! has announced their Color Refresh!! 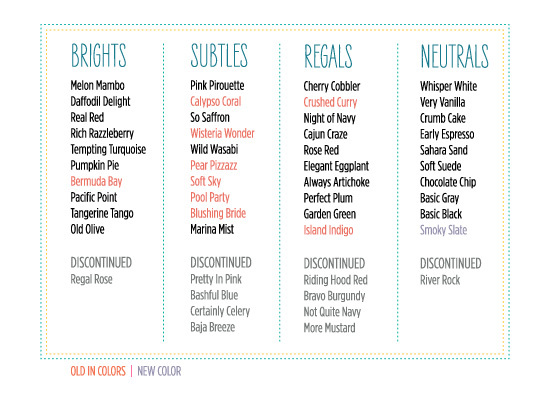 Below is a list of what colors we must say goodbye too and what new colors are joining in on the fun! 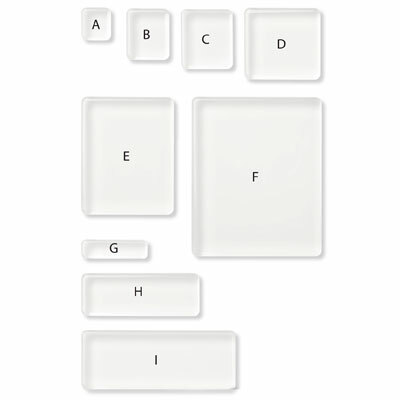 Do you see any old In-Colors that are coming back in the mix? Oooo, I'm so excited to reunite with them!!! Pear Pizazz and Blushing Bride are 2 of my favorite colors (we all know how obsessed i am with Pinks and Greens). I can't wait to get them back out and play! !